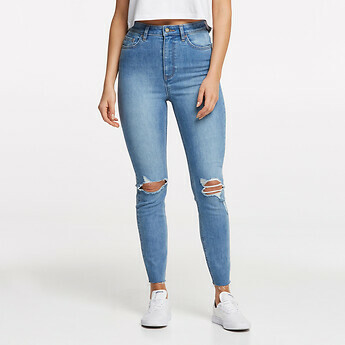 The perfect jean for a night out, the High Licks Crop have you covered with a high rise, super skinny fit. Worn at the true waist, the High Licks fit tight through the thigh and knee. Finished in a super stretchy vintage blue washed denim with knee destruction.